Shapes are considered as “building blocks” of almost whatever you create in ActivePresenter. Today we’ll show you how to insert and style a shape. Once you become skilful in shapes, you can do so much more. 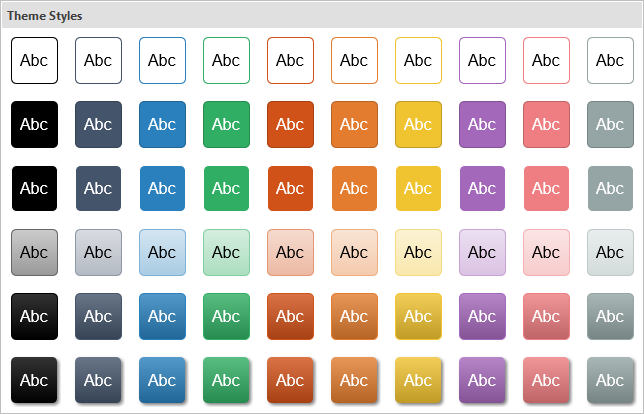 ActivePresenter offers a vast number of shapes. In fact, even a text caption you add to a slide is basically a shape with a No Fill and No Line property. All shapes are placed in the shape gallery. This gallery contains five sections representing five groups of ready-made shapes, namely basic shapes, callouts, lines and arrows, block arrows, and stars. Each group has many shapes with different forms. Here is the shape gallery in ActivePresenter. Basic Shapes: This section includes common shapes such as oval, triangle, cube, heart, etc. Callouts: This section offers speech and thought bubbles. Lines and Arrows: These are straight and curved lines, with or without arrowheads. Besides, you’re given options to create freeform paths and scribbles. 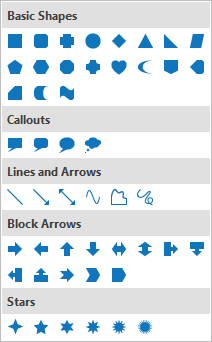 Block Arrows: This section gives you a comprehensive assortment of arrow shapes. Stars: This offers many different stars. Basically, the initial color, line color, text color, and font of the shape are determined by the theme you are using for the current slide. But you can customize these properties using available commands. We’ll discuss this technique in the latter part of this tutorial. Besides, the app lets your order, align, and group multiple shapes as you do with a normal object. In the Annotations tab > Shapes . In the Home tab > Shapes. Step 2: Select a shape you want. After that, the shape appears in the current slide, and it’s selected by default. To reposition the shape, drag it to a new position. To resize the shape, drag the resizing handles. Note that if you scale down it too much, some text inside the shape may be clipped or hidden. So, be careful when resizing the frame. To rotate the shape, drag the rotation handle. To change the dimensions of the shape, drag the yellow diamond (1). If the shape includes a pointer, you can make it point at anywhere on your slide. Just click and drag the yellow diamond at the end of the pointer. 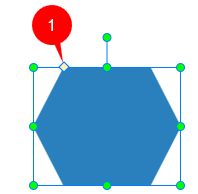 Click inside the shape to enter text. Click the shape and press F2 on your keyboard. Right-click the shape and select Edit Text. Tip: You can insert a shape into multiple slides at the same time. See Inserting and Deleting Multiple Objects to learn the procedure. 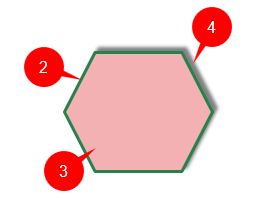 Each shape has three basic properties: Line (2), Fill (3), and Shadow (4). To customize the look of a shape, just change any of these properties. Customize the theme which you are using for the current slide. To do this, see Using Themes. Change each property of the shape manually. Now we show you how to use the (2) and (3) technique in detail. Step 1: Select one or more shapes. In the Format tab, select any style in the Quick Styles box. To have more styles, click (5). Or click (6) to show the Theme Styles gallery. In the Home tab > Quick Styles . This opens the Theme Styles gallery. Then, click any style you want. Styles in the Theme Styles gallery vary according to the theme you are using for the current slide. The Format tab is a contextual tab which only appears when you select a shape or variants of shape object. Use commands in the Home tab or Format tab. 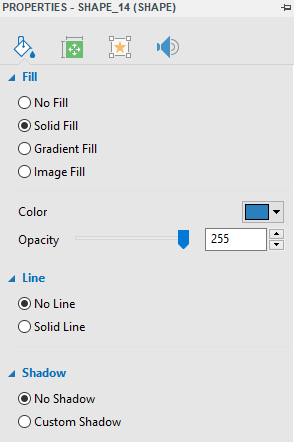 Work with the Fill, Line, and Shadow sections in the Style & Effects tab of the Properties pane. In both these techniques, commands are very common. So, styling a shape comes naturally to you, for sure. Tip: When you’re done with customizing a shape, you can right-click it and select Set as Default Shape. That way, the current formatting will be set as default and used each time you insert a new shape in the current project.. Step 1: Select the shape. Step 2: In the Format tab > Change Shape (7). Select any shape you want. Then, the new shape replaces the old one. To remove a shape, apply the same technique as when you remove a normal object. That is, you just need to select the shape and press DELETE on the keyboard. For more information, see Copying, Cutting, Pasting, and Deleting an Object. That’s it! Now you’ve learnt how to insert and style a shape in ActivePresenter. Contact us if you need any help.